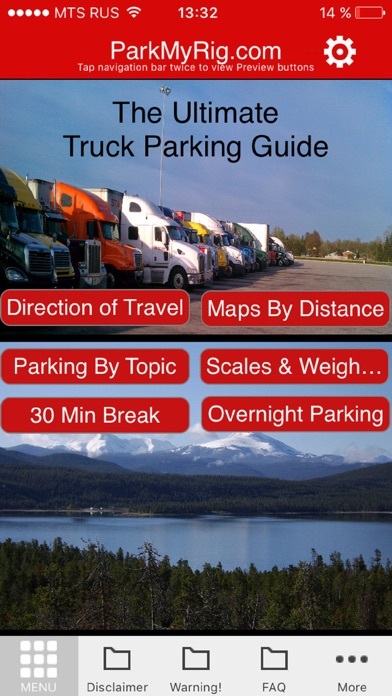 For those who are familiar with the book entitled:" The Ultimate Truck Parking Guide" by ParkMyRig, The ParkMyRig app is similar to the book but with searchable menus and with added information. The app is for the over the road Truck Driver. 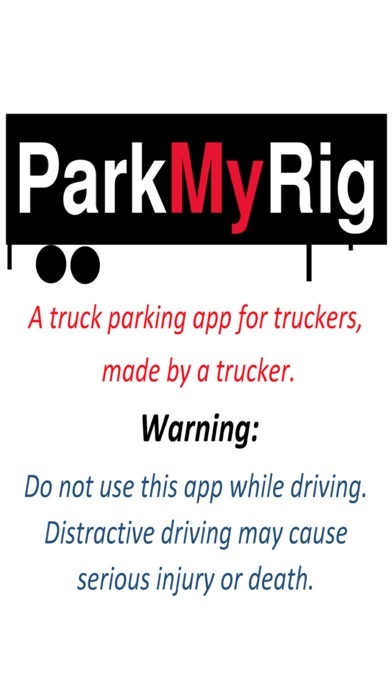 The app helps truck drivers find places to park. It is a Parking Guide, a Restaurant Guide, and a Save You Money Guide. It tells driver not only where they can park at Truck stops but also Mom & Pop restaurants, Grocery stores, entertainment, casinos and more. It tells where the free items are such as Free WiFi, Free Coffee, Free Showers, and even a Free motel. It also lists trucker discounts. There are two subscription options: 1) ParkMyRig Monthly Subscription - Length of subscription: One Month - Price of subscription: $2.49/Month - Payment will be charged to iTunes Account at confirmation of purchase - Subscription automatically renews unless auto-renew is turned off at least 24-hours before the end of the current period - Account will be charged for renewal within 24-hours prior to the end of the current period, and identify the cost of the renewal - Subscriptions may be managed by the user and auto-renewal may be turned off by going to the user's Account Settings after purchase - No cancellation of the current subscription is allowed during active subscription period - Any unused portion of a free trial period, if offered, will be forfeited when the user purchases a subscription to that publication. 2) ParkMyRig Annual Subscription - Length of subscription: One Year - Price of subscription: $24.99/Month - Payment will be charged to iTunes Account at confirmation of purchase - Subscription automatically renews unless auto-renew is turned off at least 24-hours before the end of the current period - Account will be charged for renewal within 24-hours prior to the end of the current period, and identify the cost of the renewal - Subscriptions may be managed by the user and auto-renewal may be turned off by going to the user's Account Settings after purchase - No cancellation of the current subscription is allowed during active subscription period - Any unused portion of a free trial period, if offered, will be forfeited when the user purchases a subscription to that publication. Where viewing maps remember that only 25 locations load up at a time. To load up more locations you will need to tap the "Show More..." bar near the bottom of the screen. I was literally sitting in a truck stop with several more within 100 miles. It only listed parking on the interstate 100 miles away. My GPS and other FREE apps do far better. Couldn't ask for more I would recommend to every trucker.